These are recipes for a fish called Crappie, not a selection of "crappy" recipes! All the fresh Crappie fillets you can come up with. Grated parmesan cheese. Fresh obviously is best, but you can use some Kraft brand if you want. Start the old grill up and get it ready for business! Make a small dish from aluminum foil. Cover the bottom with some lemon juice. Add your Crappie fillets. One or two per foil dish is recommended, so make as many "dishes" as you need. Top each fillet with butter (be generous now! ), and dust with a little seasoned salt to your personal taste. Now lightly sprinkle with some parmesan cheese. Add the vegetables and cover completely with more foil. Put on the HOT grill and let cook for about 5 minutes per side. Fork-test the fish (it should flake easily with light pressure), drain off the drippings in the foil, and serve with some Fava beans and a nice Chianti. I got the serving suggestion from a doctor friend of mine. In another small bowl, combine cornmeal, Cajun spice, salt, and pepper. This will be bowl #2. Wet the fillets entirely in bowl #1. Cover them with the contents of bowl #2. Add the breaded filets to a hot pan (or skillet) coated with cooking oil (preferably virgin olive oil). Cook till both sides are a nice looking golden brown color. For a little more of the HOT!, serve with Tabasco sauce. For a righteous southern style Cajun meal, put some cornbread or homemade biscuits on the table right next to the steamed okra. 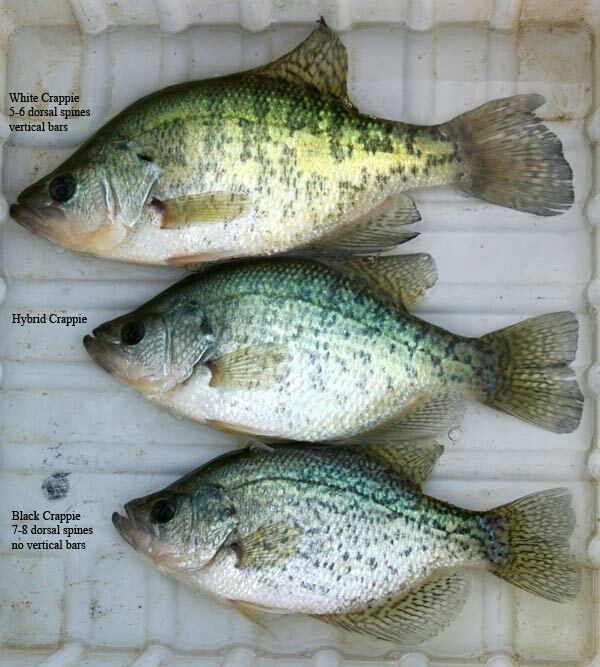 We hope you have tried and enjoyed our Crappie recipes. If you have other recipes you would like to share with the world, please let us know. EVERYONE ASKS "WHERE DID YOU CATCH THAT." I PUT MY FINGER IN MY MOUTH, PULL ON MY CHEEK AND SAY "RIGHT HERE."